So now that the dust has settled on the World Championship qualifiers – how have the results this week affect the battle for tour survival? In short, following Gerard Greene’s second round defeat to Peter Ebdon at Ponds Forge, the situation remains as it was at the start of the week, but with those in and around the top 64 having moved positions. Zhang would climb provisionally to 61st position with a first Crucible win against Barry Hawkins. This would push Stuart Carrington out of the top 64, however we would retain his tour card via the European Order of Merit at the expense of Liam Highfield, who is lower than Stuart on that list. The place on the Asian Order of Merit vacated by Zhang would be taken by amateur Lyu Haotian as the next in line on that list. In this case Mann would climb to 64th position exactly, again nudging Stuart Carrington out of the top 64. In this case however, Liam Highfield would survive via the European list, effectively taking the spot vacated by Mann. Same as described for Zhang Anda above as Mitchell Mann would in this case finish outside of the top 64 in 65th position. In this eventuality, both Yu Delu and Stuart Carrington would drop outside of the world’s top 64 with both Zhang and Mann overtaking them. Carrington would survive via the European Order of Merit, but Yu Delu would be relegated from the circuit. Liam Highfield would in this case survive, with Carrington’s case effectively being taken by Mann. Nowhere else to start today than with a big win for Oliver Lines yesterday which lifted him from provisionally 65th, up to 61st position. With 62nd placed Yu Delu already out of the tournament and Ian Burns and Gerard Greene on a collision course for the third round, Lines now looks all but certain to finish the season inside of the top 64. Lines’ win mans that Gerard Greene now drops out of the top 64 and must beat Peter Ebdon to remain in contention to break back in, while Liam Highfield moves back into position to qualify from the European Order of Merit (effectively taking the place vacated by Lines. Elsewhere, wins for Zhang Anda, Cao Yupeng and Mitchell Mann kept them mathematically in the hunt for a top 64 place, but it is the end of the road for established players such as Tony Drago and Barry Pinches, who lost out yesterday and are now poised to drop off the tour. No changes today in the battle for top 64 places, although with his 10-9 defeat to Paul Davison, 61st placed Yu Delu is now vulnerable to those behind him in the chasing pack. Wins for Craig Steadman and Liam Highfield mean that they remain in contention for a top 64 place, while Oliver Lines leads 5-4 overnight in his must-win match to break back into the provisional top 64. Today has been a big day for both Gerard Greene and Stuart Carrington, who both came back from 9-7 down to win 10-9 and keep their hopes of finishing the season inside of the top 64 alive. Their wins mean that the pressure now switches to Oliver Lines, who drops to 65th position provisionally and now must beat Lu Ning to edge back ahead of Greene in the latest standings. Another consequence of Greene returning to the top 64 at present is that Liam Highfield would now miss out upon a tour card via the European Order of Merit (that place going to Oliver Lines), but that would change if Lines can re-pass Greene. Elsewhere, victory for Peter Lines and David Morris kept them in the hunt for top 64 places a little further back, while while defeats for Michael Georgiou, Lyu Chenwei, Michael Wasley, Chris Melling and Joel Walker mean that they will drop off the tour. Day one completed at the 2016 World Championship qualifiers and a big win for Ian Burns against Duane Jones to consolidate his position inside of the provisional top 64. Already guaranteed a tour card via the European Order of Merit, he is targeting a position inside the top 64 and with a 10-8 win against Duane Jones moved ahead of both Oliver Lines and Stuart Carrington (who plays tomorrow), in the current standings. Otherwise, there was an important victory for Anthony Hamilton to keep him in the hunt for a top 64 spot by the end of the season, but defeat for Zak Surety against Mark Joyce ensures that he will now have to re-qualify through Q School if he is to remain on tour. In the afternoon matches due to conclude tomorrow, Gerard Greene came back from 4-1 down against Jimmy White to lead 5-4 at the end of the session in a must-win match for the Northern Irishman, while Peter Lines also kept his outside chance of a top 64 place alive by moving 9-0 up on Ng On Yee. Heading to Ponds Forge there are three players (Gerard Greene, Craig Steadman and David Morris) not currently qualified for next season via other means, potentially within a single win of overtaking at least 64th placed Ian Burns. With all of these players set to face lower ranked players in the opening round however, it is likely that they will have to win multiple matches to break into the all-important top 64. For Cao Yupeng at least two wins are required at Ponds Forge, while the remaining players not already safe via either the European or Asian lists, will need to at least qualify for the Crucible if they are to stay on tour. 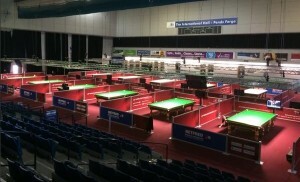 It is also important to note that in the case of Liam Highfield, his future is to some degree out of his own hands as although he is currently set to earn a fresh tour card through the European list, he could miss out if for example either Ian Burns, Stuart Carrington or Oliver Lines were to drop out of the top 64 after Sheffield. This is because if either Greene, Steadman or Morris were to replace those players, the players dropping out would instead qualify through the European list as they are placed higher than Highfield on that Order of Merit. 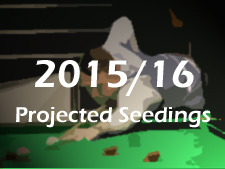 I’ve been doing those at WPBSA.com – is a new site coming over the summer though. 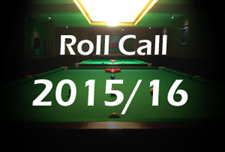 World championship 2016: Tour survival blog this blog is for those who haven’t performed good enough and its an sort of alert that try to focus to overcome in world snooker championship 2016.